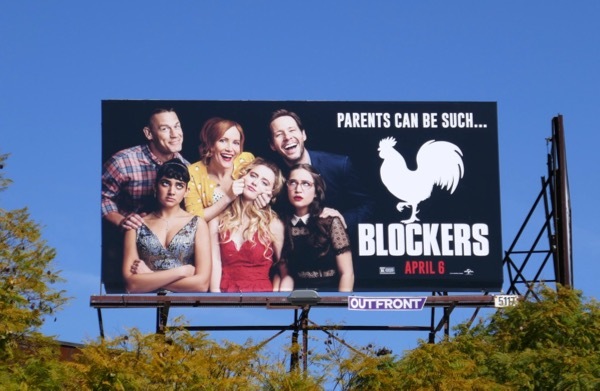 If you're looking for a bawdy laugh this weekend then Blockers is the comedy for you. 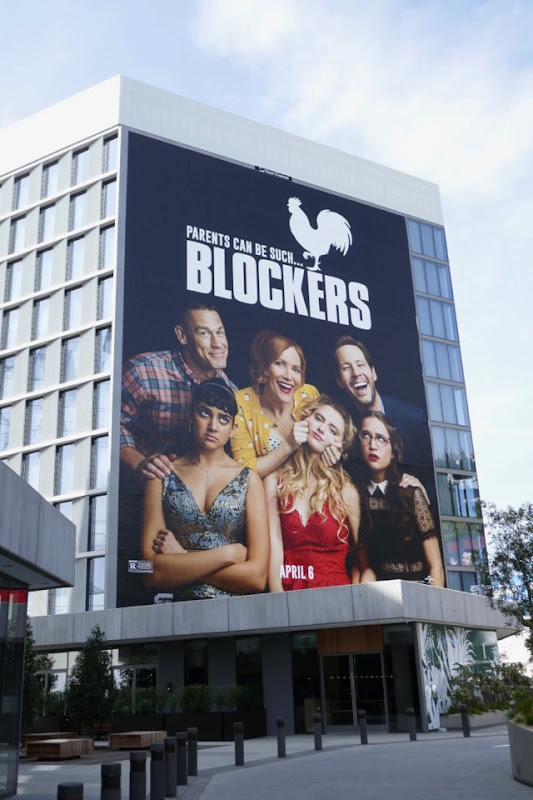 In the film three horny high school friends (Geraldine Viswanathan, Kathryn Newton and Gideon Adlon) make a pact to lose their virginity on prom night, but their overprotective parents (played by John Cena, Leslie Mann and Ike Barinholtz) will stop at nothing to prevent this from happening to their daughters. 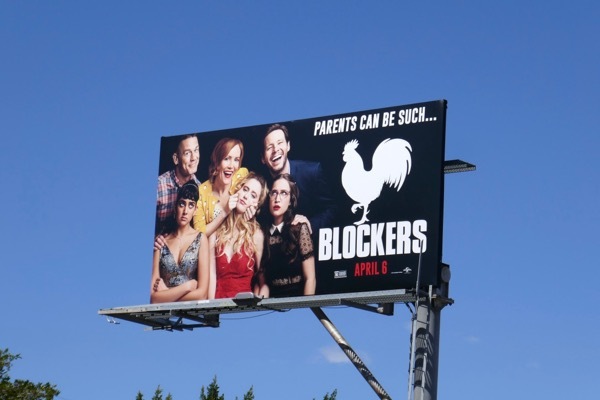 The rooster silhouette accompanying the R-Rated film's title on these ad creatives really is a brilliant way of suggesting that these parents are 'c--- blockers'. 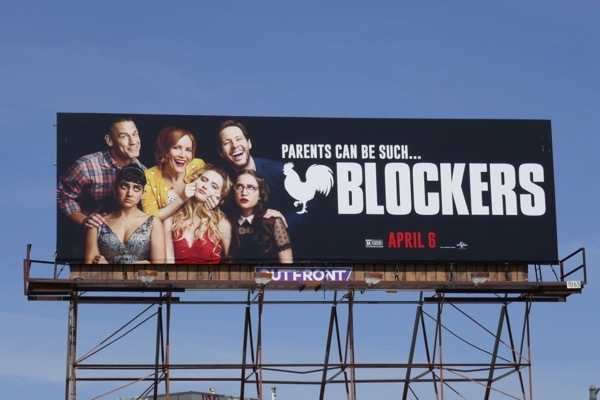 These tongue-in-cheek movie billboards were snapped along Santa Monica Boulevard, La Brea Avenue and the Sunset Strip from March 15 to March 30, 2018. 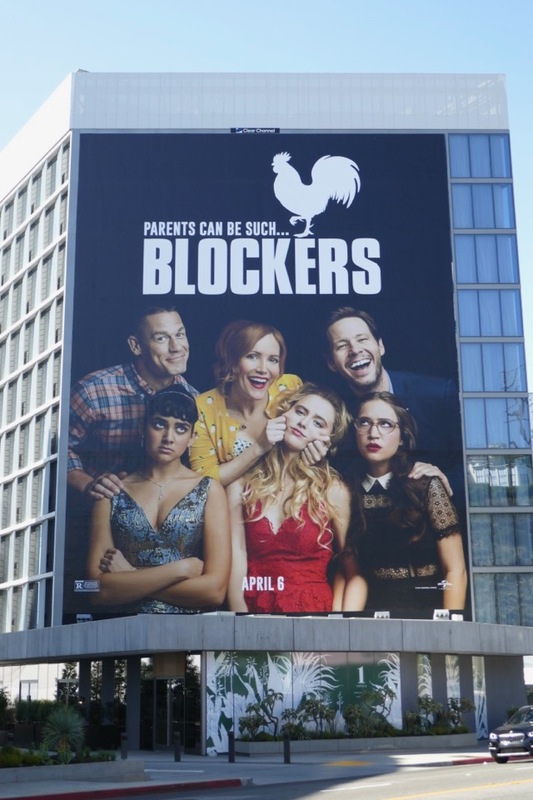 Meanwhile fans of Leslie Mann can also check out these movie billboards for How to be Single. 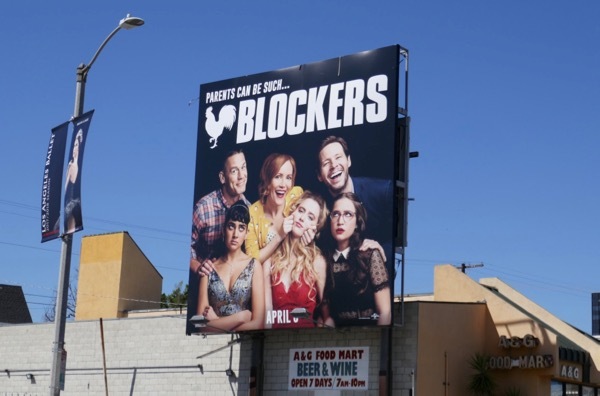 Let's hope this comedy about getting laid for the first time turns out to be half as funny as these billboards for the movie. 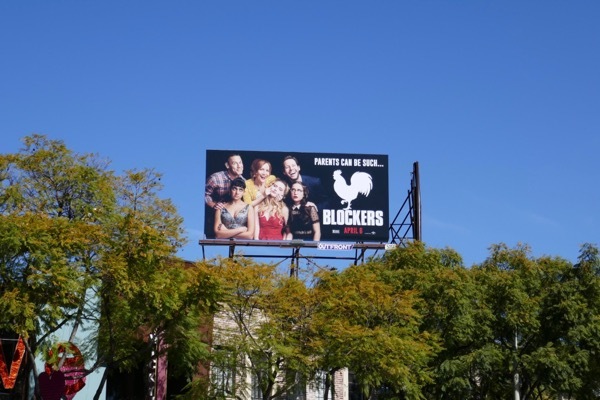 UPDATED: Here's another a larger landscape billboard for the raunchy comedy spotted along Pico Boulevard on April 8, 2018.